One of my favorite graphic tee companies, Johnny Cupcakes, has done a mash-up with Teenage Mutant Ninja Turtles. I was excited to see this email in my inbox. While I admit the shirts are a little pricey, they are well with it in quality alone. There are four different shirts and a hoodie. There are also cute pins. 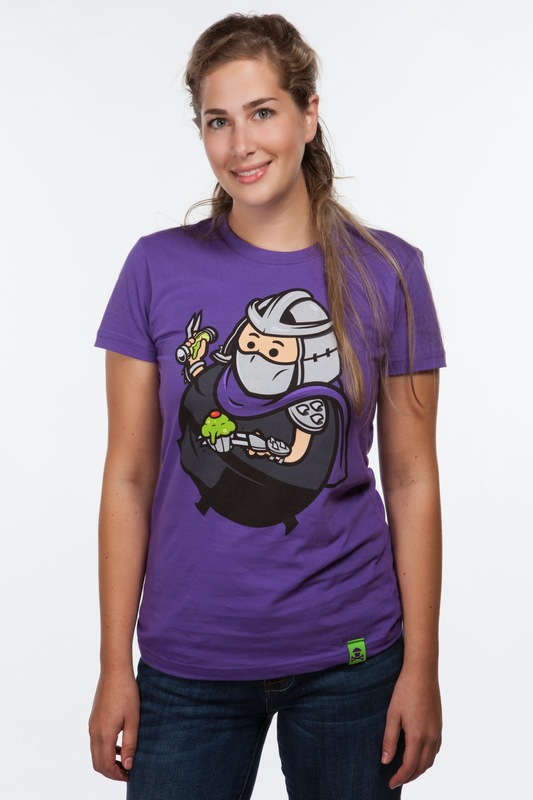 Look at this awesome Shredder tee. How could you not buy it! The tees are 100% cotton and appropriately sized. 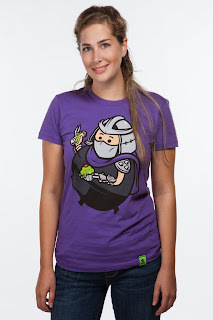 The Shredder tee is shorter than the other ones but still an appropriate length. The Shredder tee is also a thicker type of cotton it almost feels like a winter tee if that makes sense. 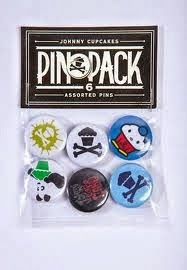 Johnny Cupcakes always sends a little extra in their package such a stickers, pins, and a mint. Check them out, shirts go quick and are not usually seen again.